As adults, we have years of experience of dental care and have all been told off by our dentists at some point. Sharing this experience with our kids can help them develop excellent dental hygiene at an early stage and get accustomed to looking after their own teeth. But, it is sometimes hard to know where to start with so much information on the internet. For experienced parents, some tried and tested approaches will work with their younger children while others won’t. For new parents, the whole experience will be unique. Getting your kids into the habit of looking after their teeth can be a chore, but it can also be a fun experience as they get a little older. Here are a few tips for healthy teeth in kids to get you started. You should start helping your baby look after her teeth from the moment her first milk tooth breaks through. Obviously, at this stage, you will have to do the brushing, and you may have to continue doing this until they are about seven. Initially, you need to apply a small amount of low-strength fluoride toothpaste to the baby’s teeth. As your kid gets older, you can start using a brush, and once you feel they are ready, begin to supervise their brushing. These days, we are surrounded by lots of food and drinks high in sugar, starch, and carbohydrates, all of which are not good for your little one’s teeth. Eating an unhealthy diet can cause tooth decay, which can lead to problems such as toothaches and sensitivity and will make your child (and you) miserable. There are some tips you can follow to reduce this problem. A healthy and balanced diet is great for the teeth and overall health of your child. Try and introduce a wide range of foods containing Vitamin A, C, and D, and sources of calcium such as eggs, nuts, fish, green vegetables, beans, and poultry. Avoid sugary snacks and drinks between mealtimes. 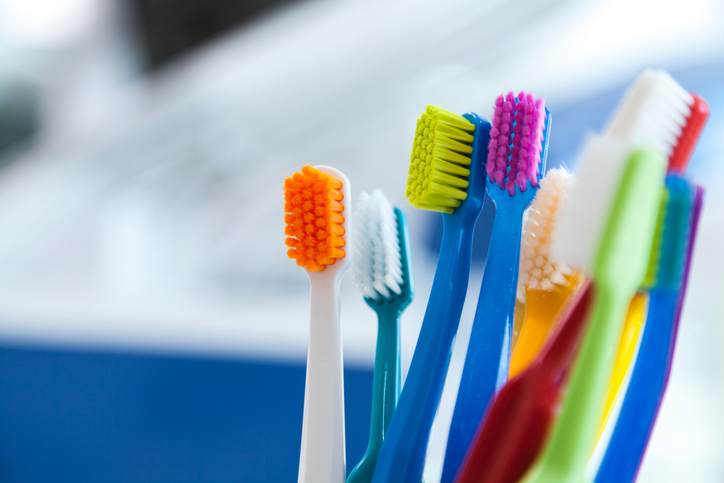 If you do give your child some candy as a treat, make sure they brush their teeth afterward. Give your child lots of fluids, but be careful of juices and sodas, as they contain large amounts of sugar. Water is excellent, as it helps produce saliva, which helps neutralize the acid in the mouth. Milk also does an excellent job of fighting bacteria and making sure the teeth are healthy. Let them choose the color of the toothbrush. Turn the daily ritual into a game by doing it with them. Encourage them, laugh with them, but don’t berate them if they are not in the mood. It is an excellent opportunity to spend a little time with them as well! Choose a dentist that specializes in kids or family dentistry, as they will try to make the experience as painless as possible. If at any point you are in doubt about what you should be doing, contact your local dentist or pediatric clinic for assistance.